Bran is one of the foods with the highest fibre content. It is important to drink a lot when eating oat bran, otherwise this can cause indigestion. Fibre has important functions: it combines with water, swells up and causes a long-lasting feeling of being full. Besides this, it stimulates the flow of digestive juices, and speeds the passage of the stomach contents through the intestine. 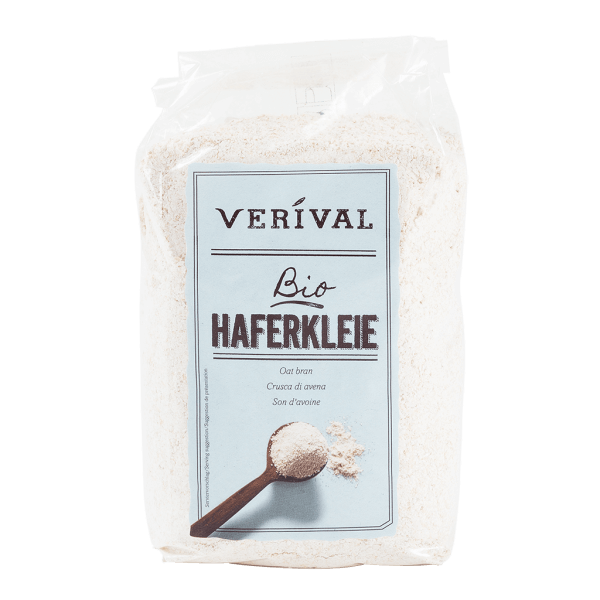 Fibre promotes the growth of "good" bacteria in the intestine and thus make for favourable flora within the gut. It discourages a rise in blood sugar levels, and has a positive influence on levels of cholesterol. Oat bran can be used in soups or in biscuits, cakes and breads.